What gate style suits my home? When looking to buy a new gate, there are a lot of options to choose from. As well as looking at the architectural and design features, colours and what will best match your properties overall image, you need to consider how the gate will open safely, and the impact that this will have on neighbours, roads and footpaths. Below we take a look at some of the different gate options available to you. You can use this information to find the right gate style for your needs. These are perfect for ascending driveways (i.e. if there is a hill from the entrance of your property leading up to your home) or homes with a short driveway. Gates with an internal swing would get stuck on the ascending ground or may hit into the wall if the driveway is very short, whereas outward swinging gates won’t compromise your driveway or property. 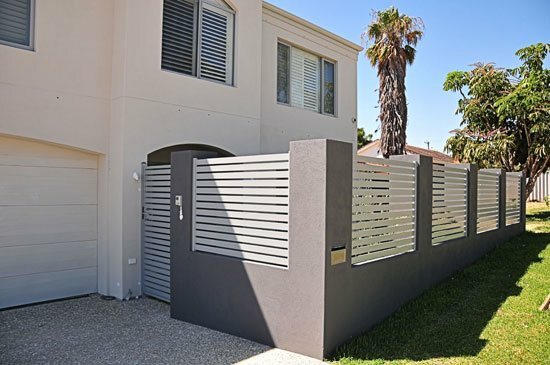 The only downside of this gate type is you need a lot of space on the outside of the property, so that it doesn’t interfere with footpaths or roads. These gates best match properties on quieter streets or countryside homes. These can be the most versatile gate style, provided there is enough room either side of the entrance for the gate to slide across. Sliding gates are perfect for short driveways or properties that lead out onto busy street or footpaths, which don’t allow room for a gate to swing either outwards or inwards. The gate slides sideways (behind the fence) and doesn’t take up any additional space. A fantastic invention that also looks impressive. Properties that are on main roads, or roads where there is considerable pedestrian traffic, should consider internally swinging gates. The gates swing inside the property and don’t take up any space outside of the property. 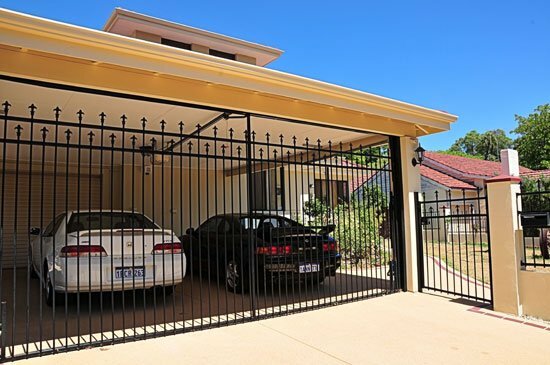 For this type of gate it is important to take into account that the driveway will need to be kept clear to allow the gate to open inward, so there must be a garage or side area where cars can be parked. Aluminium slat fencing and gates are usually the most popular option for buildings with a more contemporary architectural design. The versatility of aluminium combined with powdercoating means aluminium slat fencing and gates come in a variety of colours to suit your individual needs. They are a great option when you want to keep your fence and gate colours consistent with the style and architectural features of your home. Traditional picket fencing and gates work fantastically to enclose older-style homes. 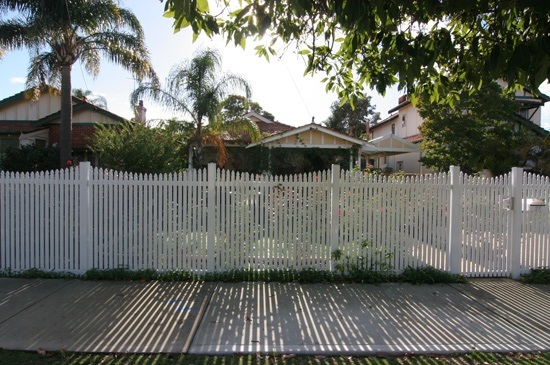 If you’re looking for that ideal and authentic feel of the ‘white picket fence’ but you don’t have the time for the upkeep involved in coating and painting timber fences year in year out, then it’s best to go with our more modern aluminium option – you still get the style of the white pickets, but with the durability of aluminium. 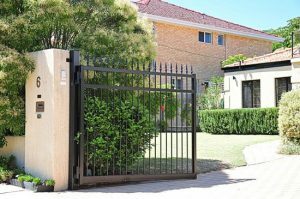 If you’re going for an elite look to your home then an ornate steel gate can be the perfect focal point to set off the look right from the moment people lay eyes on your home. 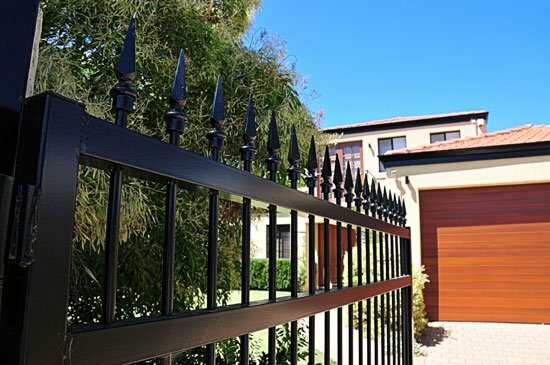 What’s more – steel fences are the most durable on the market and ours require absolutely no upkeep, so your gate will look magnificent for years to come. If your project requires a high level of security- particularly for commercial and industrial fencing products, then security gates made from guardian steel are the way to go. Adding finishing touches like spiked posts will even help to deter criminals as they won’t consider trying to climb over that! Space: You need to consider how much space you have for a swinging gate and whether an external or internal swinging gate is best. If you don’t have enough room for either than a sliding gate will be your best option. Electronic or standard: We usually recommend automatic gates. While they are more expensive, they are a lot safer and more convenient. You don’t have to block of the road with your car while you open the gate. Style: Your gate and fence need to match in with your house design and your architectural features. Look at options between slats and smartwood and steel posts. Ultimately you need to consider all of the features on your property and how best the gate will complement these. If you have any further questions about what style is right for your gate, our friendly sales staff are always happy to help – get in touch today!